Your interest in Testaccio as a Roman destination is possibly linked to your interest in Rome’s history, for one of the most fascinating things about this area is that it was a trade hub during antiquity and the hill it’s built on is actually man made: a vast stack of broken clay containers. These days Testaccio is a hipster neighbourhood - it was a centre for butchers, but it’s so central that gentrification was just a matter of time - and is becoming well known for its cuisine. 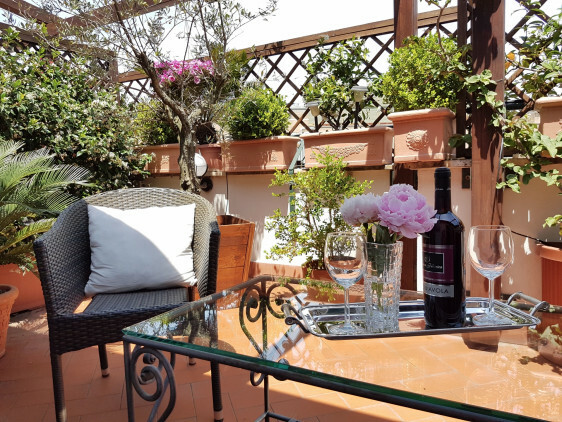 The best hotels in Testaccio are well located for Rome’s sights, and surrounded by great places to eat and drink, both during the day and after dark. Testaccio is not too worried about being seen, it’s not particularly elegant, and locals who aren’t wearing Valentino or Fendi come here to eat fantastic food. 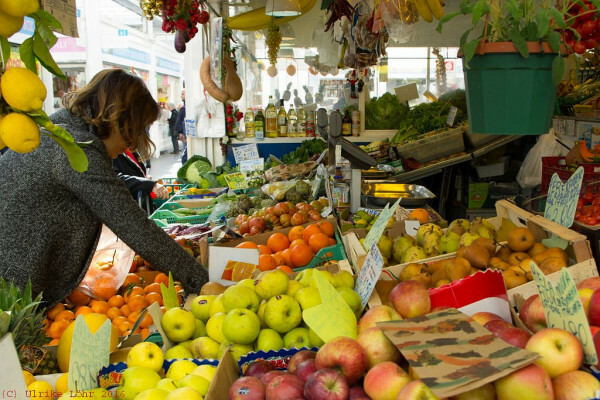 You will see older ladies stocking up in local delis and one of Rome’s best markets, the Testaccio Market. The building is new, but the market is very old, and many of the stalls have been run by the same families generation after generation. And the produce is exceptional. Testaccio doesn’t have many big name tourist attractions, but this is where you’ll find the graves of both Keats and Shelley. Keats’ grave doesn’t bear the poet’s name, but next to his is the grave of his friend Joseph Severn, whose grave marks him out as the ‘Devoted friend and death-bed companion of John Keats’. it is also where you’ll find the Mattatoio Modern Art Museum. You’re about 30minutes walk from the Colosseum. 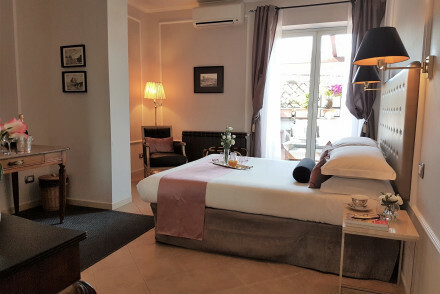 The Althea Inn is a secluded penthouse B&B with three spacious, whitewashed rooms, three suites with private terrace and a flower-filled balcony perfect for aperitivos. Rooms start from around €80 per night and you’re surrounded by great, affordable places to eat. Browse through our list of all the best places to stay in Rome? Or consider our Guru’s recommendations for Great Hotels Near the Colosseum? or the Best hotels in the heart of Old Rome? or the 3 Best Hotels near the Aventine Hill?